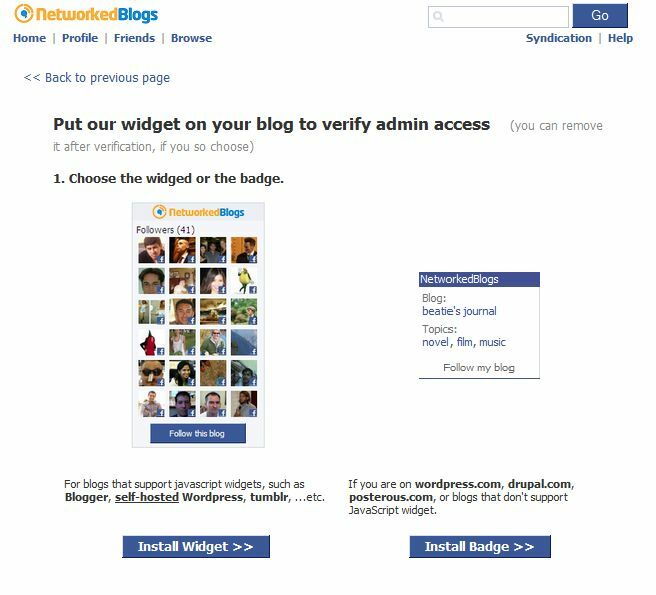 So you have a WordPress blog self hosted and you want to post to Facebook every time you post on your blog. I am going to show you how to do this. It is very easy and requires no plug-ins or additions to your site, so it is not going to cause any extra page load on your site. The first thing you need is a Facebook account. The second thing you need is a Fan Page. I assume you have both of these. Log into FaceBook and go to http://www.facebook.com/networkedblogs and click on the Go to App button next to the title NetworkedBlogs. Continue as your profile, if you are logged into a fan page it will want you to switch, you need to. Next click the Register a Blog button. If it doesn’t exist, it is because you are not verified to them yet. In their search box type in your blog name (Should not be found in this search) eg. Blog not found. Click the Register it Now button. Fill in the details and once completed you will get a verify type option. 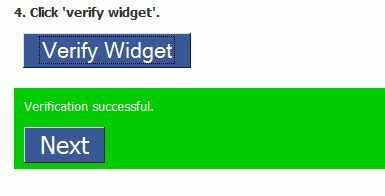 Choose the widget code method. Back on the App on FaceBook, click Verify Now. Once verified your posts will be automatically added to the places you choose. 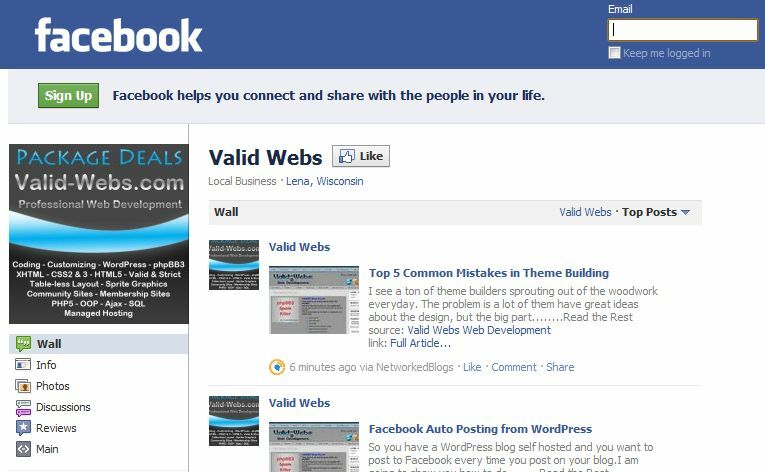 Add it to the target you choose and your Blog posts will be posted to that FaceBook target…. NOTE: there is about a 5 minute delay in posts being added to FaceBook. 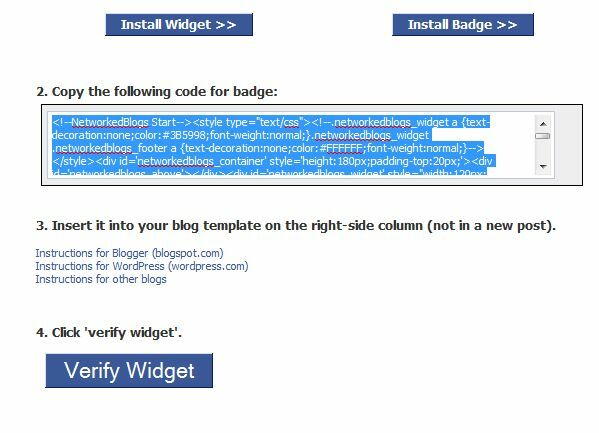 You can now remove the Widget code added earlier for the verificcation. Stay tuned, because I will be adding to this post and making little corrections if needed.